Rafael Alberola is a gentleman who to his 70 years of age still is able to perfectly fulfill the work of Archivist in the “Primitive Band of Paiporta”. 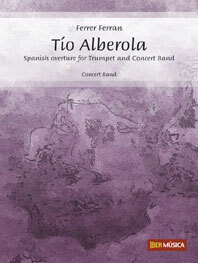 His son, Vicente Alberola, are an excellent concertista of trompeta as well in addition to great pedagogo of this instrument and, musical member of this same Band. Ferrer Ferran, titular director of the Primitive Band of Paiporta, composes this Overture that dedicates with a special affection to the archivist of the band, “tio Alberola”, to be always had to the call the same one and to make all the works with a correct masters and an excellent care. Tio Alberola is an Overture of Spanish cut and to rate of pasodoble, excelling colorful fresh and a seductive one. Her protagonist, the trompeta, wants to recognize the great work of the son of Mr. Alberola, Vicente, also by her good disposition to the band that has seen him grow during all its musical formation as much as professional…, but first of all, being a great “person” of an extraordinary humanity. …to Rafael Alberola Benavent, “the Archivist of the Primitive Band of Paiporta”, by its excellent disposition and good for doing, with much affection. 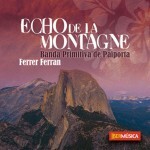 This Composition was released day 19 of November of 200ën the “Auditorio Florida” of Paiporta (Valencia), being the solista of Trompeta Vicente Alberola and the Primitive Band “of Paiporta”, directed by the Author. Gracias MAESTRO por mantener nuestra versión de esta obra! !